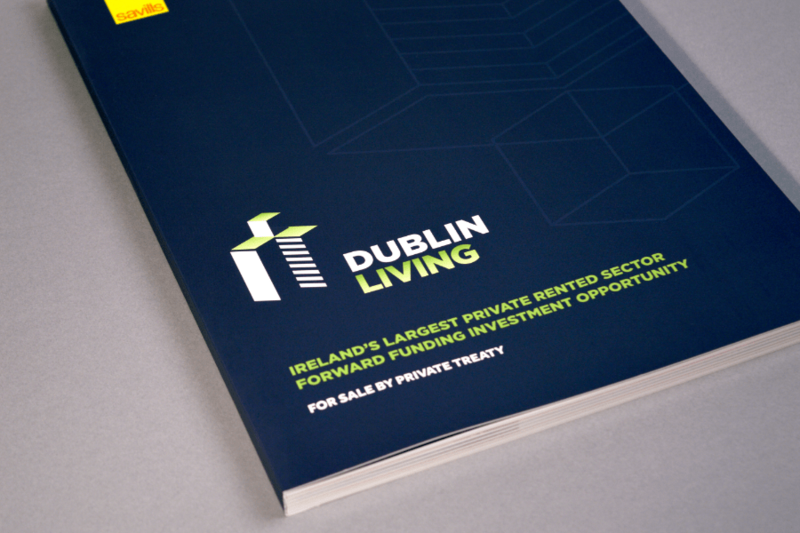 After many recent successful projects in Ireland, Creativeworld was approached by world renowned property agents, Savills, to bring this prime investment opportunity to life. 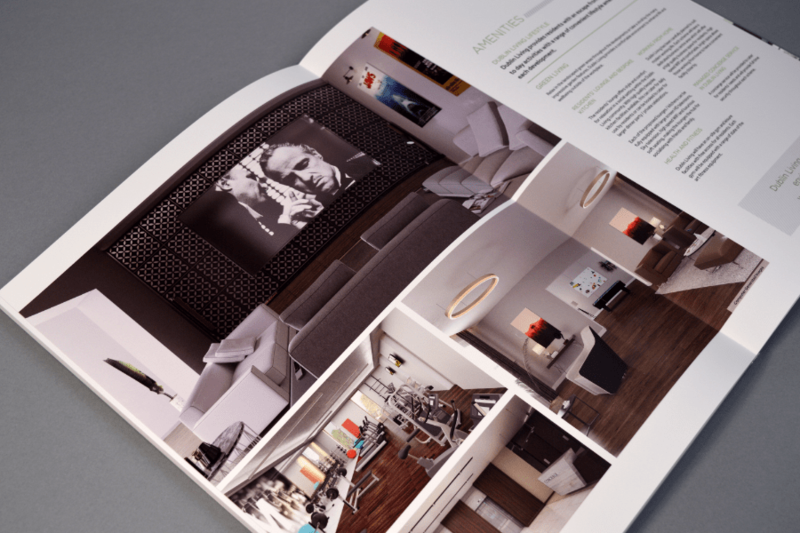 The portfolio presents the chance to acquire a significant volume of residential units within a thriving cosmopolitan European Capital City. 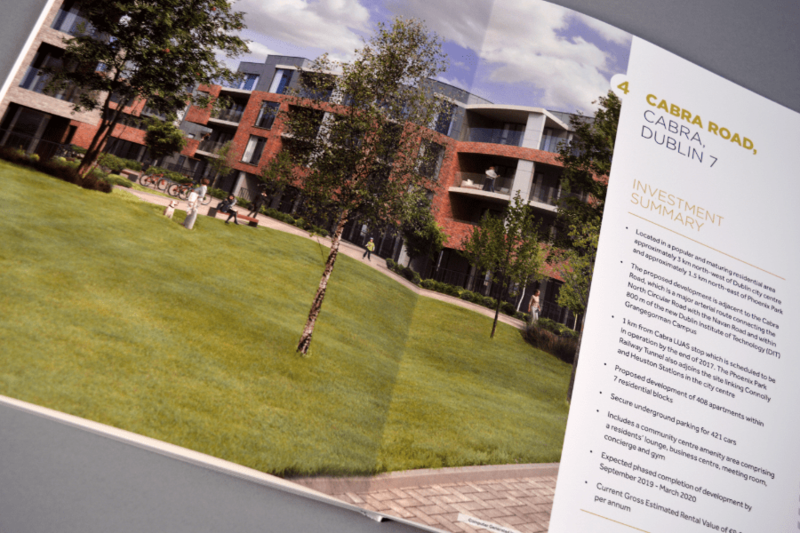 The four-high quality PRS schemes will deliver a mixture of residential apartments with significant amenity provision and high quality public realm. 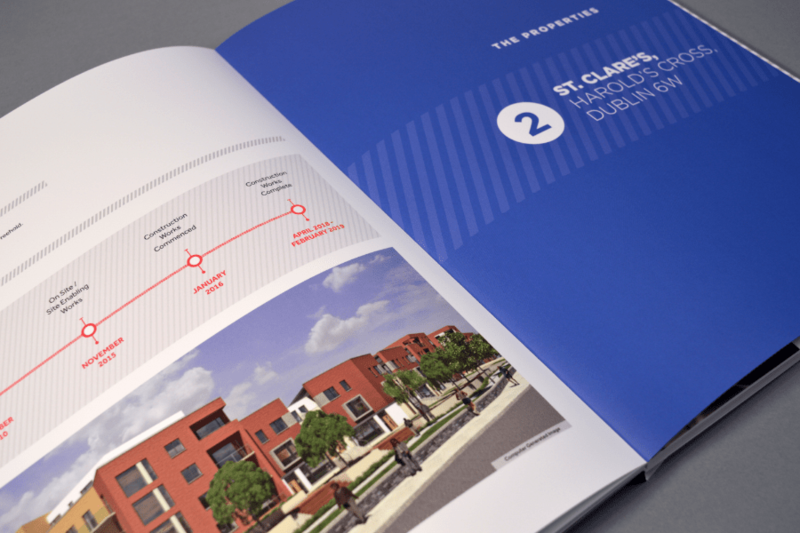 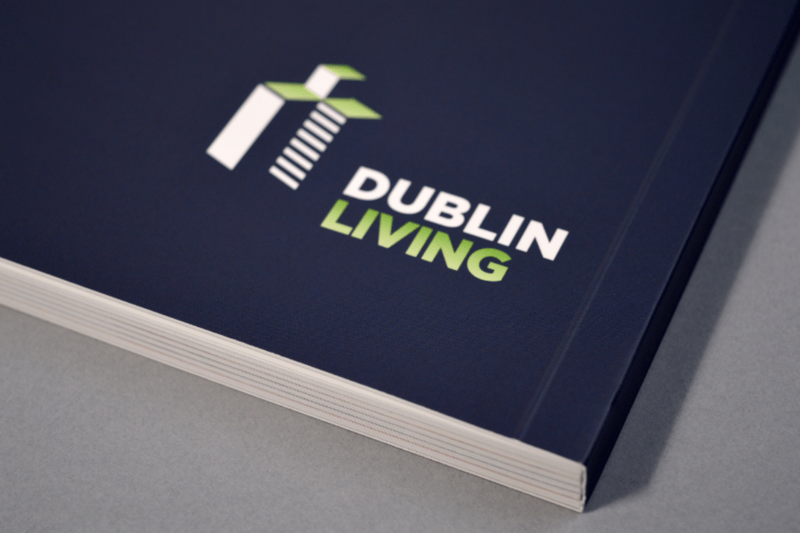 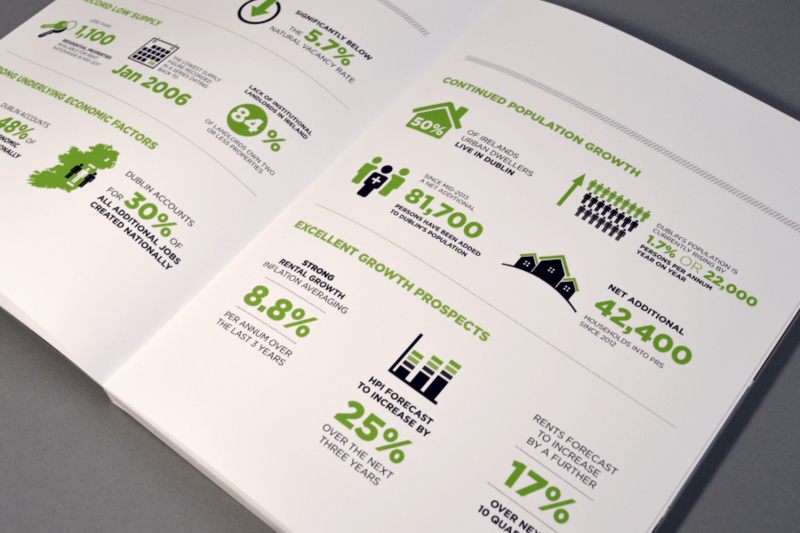 In order to capture the magnitude of the scheme, our talented in house design team created a 68 page Layflat brochure with a spot UV varnish on the front and back covers. 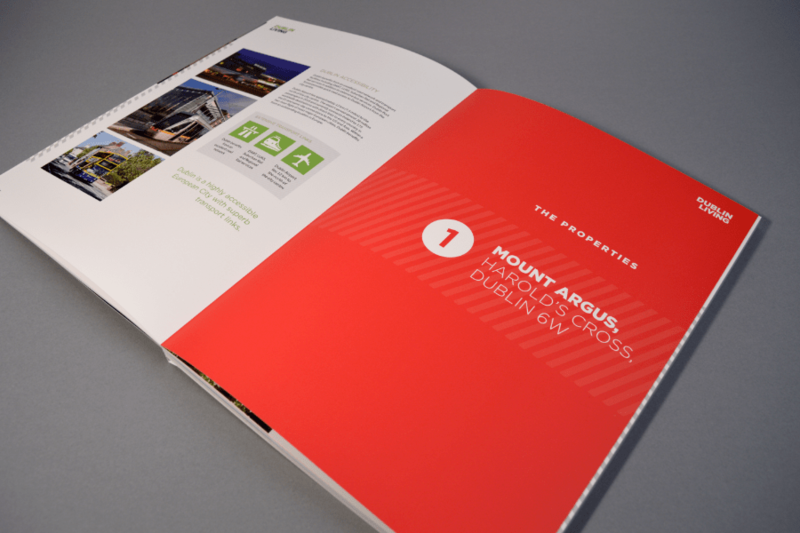 As a finishing touch the brochure was matt laminated throughout.